Kriyananda vowed to do his utmost to make this dream a reality. In 1969 Kriyananda began the fulfillment of Yogananda’s vision with the establishment of Ananda Village, located near Nevada City, California. One without the other leads to a society barren of human fulfillment, but a balance of the two can bring peace, harmony, prosperity, and happiness. 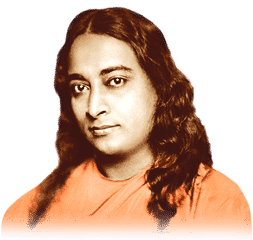 Yogananda often predicted that world brotherhood colonies, based on the twin principles of “plain living and high thinking,” would be the social pattern for the future. The Ananda community is situated on 900 acres of meadows and forests amidst the foothills of the Sierra Nevada Mountains in northern California. Today, 250 people reside here, including adults and children of all ages. You are welcome to visit us without prior arrangements during normal business hours. Our reception staff will be happy to answer your questions, and give you a map of the community for your own exploration. If you’d like to call ahead, we may be able to arrange a guided tour. Phone (530) 478-7500, Monday – Friday, 9:00am – 5:00pm. At The Expanding Light, Ananda’s guest retreat, people from all walks of life can learn various aspects of yoga and meditation. Yoga, the basis for all our programs, is more than a system of physical postures — it is a way of life. Yoga means “union” in Sanskrit, and can be understood on many levels-from self-integration to union of the soul with God or Spirit. Yoga offers techniques for bringing peace and harmony into your attitudes, work, relationships, and family life. 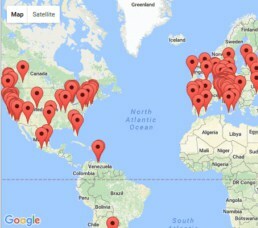 People from around the world come here for personal retreats, training in yoga, meditation, healthy living techniques, or gaining certification from our popular Ananda Yoga Teacher Training and Meditation Teacher Training courses. Guests stay in cabins, guest houses, or our deluxe “Harmony House,” with each room dedicated to a major spiritual tradition. Families or small groups can stay in a home across the meadow from the main retreat. Every Sunday morning Ananda Village residents and guests meet at the Expanding Light Temple for meditation, chanting, readings, and a sermon by one of the Ananda ministers. You are invited to join us online, or in real time and space. Crystal Hermitage is the spiritual heart of Ananda Village and the home of Swami Kriyananda, Ananda’s founder. Beautiful terraced gardens, expansive vistas, and tranquility await all those who visit. The Hermitage Chapel, inspired by the Porziuncola of Saint Francis in Assisi, offers solitude and inspiration. Shrine of the Masters houses relics of Ananda’s line of gurus and other saints of Self-realization. There is also a gift shop offering unique hand crafts made by Ananda artisans. The Hermitage grounds are open to public all year long, offering venues for weddings, receptions, and workshops. In addition, every spring when thousands of tulips bloom, we host a Spring Open House to share the beauty of the gardens with all. Ananda’s Schools are part of the Education for Life Foundation, based on the principles outlined by Paramhansa Yogananda and Swami Kriyananda. The Schools offer instruction for grades K-12, with a focus that supports the unity of all religions. As well as traditional academics, universal spiritual values such as respect, kindness, cooperation and responsibility are a part of the curriculum. The student-teacher ratio of 12:1 allows each teacher to connect at a deep level with every student. Teachers work toward the steady growth and unfoldment of each child, based on his or her own level of understanding and maturity. Meditation is also taught, as are yogic principles like self-discipline, concentration, service, and even-mindedness. Boarding with an Ananda family is available for older students. Within the community are private as well as Ananda-owned businesses, which employ both residents and neighbors. A few of the businesses include Master’s Market, a natural foods market, deli and bakery; Ananda Design and Construction; the Sharing Nature Foundation; Sacred Ways Gifts, Inner Path Yoga Products, and Master’s Flower Essences. Ananda’s business center, Rajarsi Park, is home to Crystal Clarity Publishers, which produces books, video and audio by Paramhansa Yogananda, J. Donald Walters, and others on topics related to yoga, meditation, and Self-realization philosophy. It also houses offices of Ananda Sangha Worldwide, our main outreach ministry. The Rajarsi Park business complex includes management offices for Ananda Village and Ananda Sangha Worldwide, which assists the worldwide network of Ananda communities, centers, and meditation groups. This is also headquarters for the Ananda Healing Prayer Ministry — with 600 members worldwide who do healing prayers regularly for those in need. Ananda Sangha publishes an online Clarity Magazine, which has offices here. A big part of the outreach ministry is The Ananda Course in Self-Realization is a home-study course that has helped thousands worldwide directly experience spiritual realities. The course teaches beginning through advanced meditation and yoga, healing techniques, Yogananda’s Energization Exercises, elements of a vegetarian diet, yoga philosophy, developing intuition and much more. After completing this course, students are eligible to apply for Kriya Yoga initiation, the highest meditation technique offered by Paramhansa Yogananda. 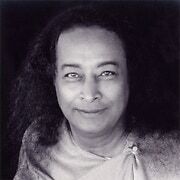 Yogananda said Kriya Yoga would hasten one’s spiritual evolution, calling it the “airplane route” to God. Residents of Ananda Village are disciples of Paramhansa Yogananda, and practice the Kriya Yoga techniques he introduced to the West. Many of the residents have been a part of Ananda for 20 – 30 years. If you’re interested in living at Ananda Village, we’d like to invite you to visit the Expanding Light guest retreat. While you’re here, you can take a tour of the community, meet some of the residents, and ask any questions you might have about living here. 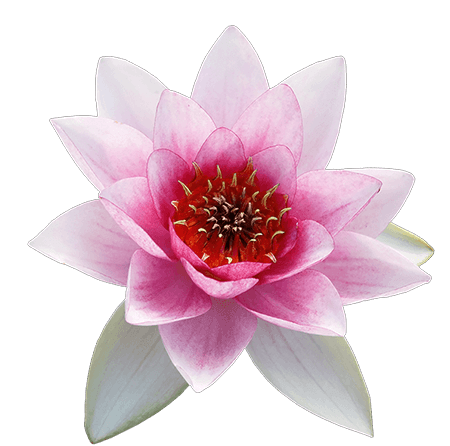 The Karma Yoga Program at the Expanding Light is an ideal way to experience Ananda. You can stay for two weeks to one month, at a very economical rate. You’ll live and serve with other seekers, participate in daily spiritual practices, take classes on meditation and yoga, and spend time with resident members. For many, it’s the best avenue for exploring residency at Ananda. There are also many free online books by Paramhansa Yogananda and Swami Kriyananda that explore our spiritual teachings. Even if you don’t end up living at Ananda, you’ll find that the experience of Ananda and these teachings is helpful in the continuing process of your own ever-deepening commitment to the spiritual path.